Move the left foot to B, forming a left walking stance toward B while executing a low block to B with the left forearm. Move the right foot to A, turning clockwise to form a right walking stance toward A while executing a low block to A with the right forearm. Move the left foot to A, forming a left walking stance toward A while executing a middle punch to A with the left fist. Move the left foot to D, forming a left walking stance toward D while executing a low block to D with the left forearm. Move the right foot to C, turning clockwise to form a right walking stance toward C while executing a low block to C with the right forearm. Move the left foot to C, forming a left walking stance toward C while executing a middle punch to C with the left fist. Move the left foot to A, forming a right L-stance toward A while executing middle block to A with the left inner forearm. Move the right foot to B, turning clockwise to form a left L-stance toward B while executing a middle block to B with the right inner forearm. Move the left foot to B, forming a left walking stance toward B while executing a middle punch to B with the left fist. Move the left foot to C, forming a right L-stance toward C while executing a middle block to C with the left inner forearm. 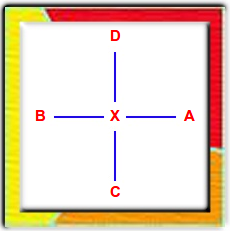 Move the right foot to D, turning clockwise to form a left L-stance toward D while executing a middle block to D with the right inner forearm. Move the left foot to D, forming a left walking stance toward D while executing a middle punch to D with the left fist. Move the left foot to C, forming a right walking stance toward D while executing a middle punch to D with the right fist. 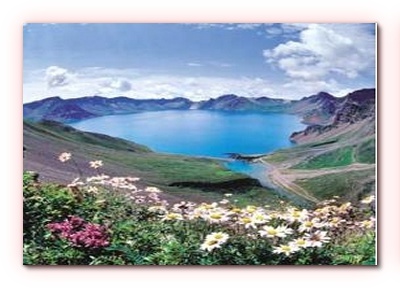 Literal meaning of Chon-ji is “Heaven and Earth,” which in the orient symbolizes the creation of the world and the beginning of human history. 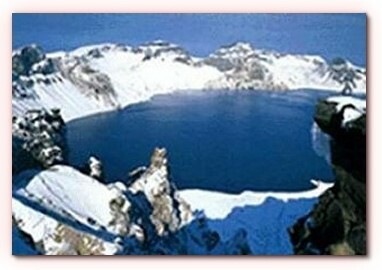 Chon-ji, “heavenly” lake, is also the name given a large crater lake on Paektu Mountain, an extinct volcano said to have been the first residence of the legendary founder of Korea, Dan-Gun. According to the first book of the classic I Ching, which explains all processes of growth and change in the natural world, life is based on a changing changelessness in which all aspects of reality possess the elements of their opposites. According to ancient philosophers, the universe came into being through the interaction of two opposing elements, which, when combined, formed the basic elements of all matter in the universe. The philosophers conceived that nothing in life is permanent, yet nothing is destroyed. Chon-ji is appropriately named because creation is the starting point of all things and this pattern establishes a foundation the remaining patterns. 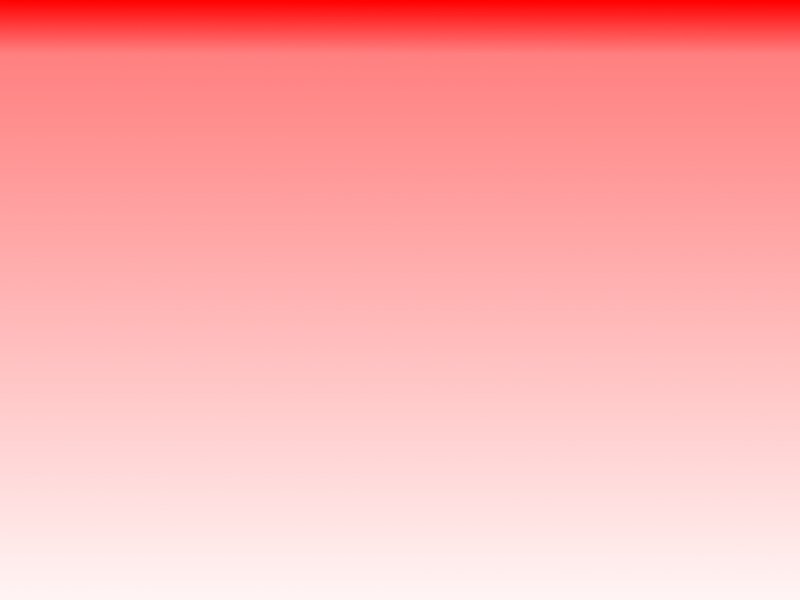 The pattern consists of two similar parts: one part representing heaven and the other earth. Stances and techniques in this pattern comprise the basic movements required for mastery of all 24 patterns.